There are only a few series that tie into the Avengers Vs X-Men event and most of the stories in the tie-in books are either pointless banter or more over hyped fights. 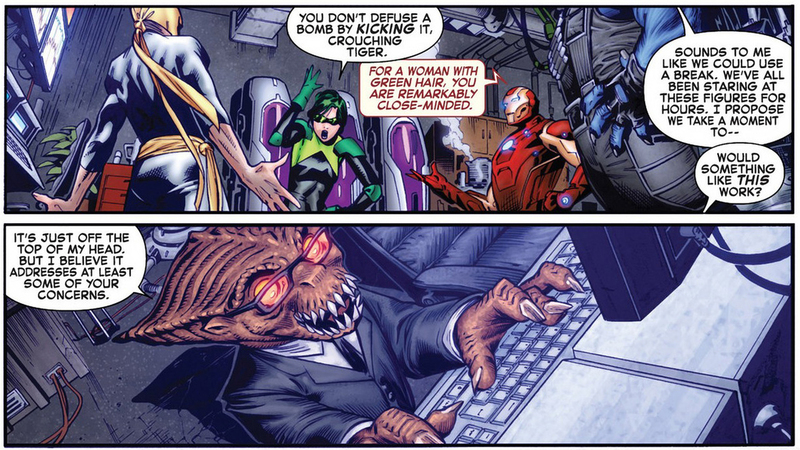 The comics that are well written tie-ins stand out as great moments in the course of this event. As the crossover reaches the final battles the students and teachers of theJeanGreySchoolbegin to prepare for the hardships ahead. This issue goes between different perspectives of different students and teachers. There is no real story just moments in life to show the tension in the clam before the storm. It also shows how the characters are dealing with the weight of the situation. As there is very little plot in this issue most of the dialogue is character based creating some interesting and sometimes emotional moments. 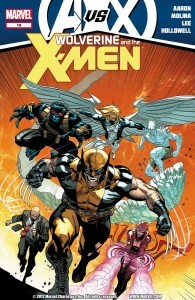 Some of the stand out sequences include: Idie talking with Hope, Rachel Grey and Professor Xavier verbally sparring with Quentin Quire, and Ironman, Beast, and Broo discussing tactics. It gives the reader a good sense of the mood before the big upcoming battles. The moments range from heartwarming to tragic to funny and really make this a very enjoyable issue. 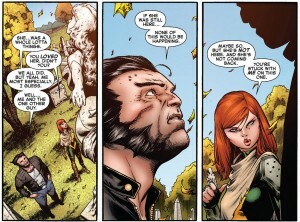 The artwork in Wolverine and the X-Men has the same flaws that the comic has had since issue one. The faces do not look that great and some character designs look very sloppy especially when emotions are being expressed. However, the character design flaw is mostly set on male characters with the exception of male aliens like Broo and Kid Gladiator, but all characters suffer from weird emotional faces. The school does look good from the detailed hallways to the caves and even Krakoa. There is no action and very little movement as this issue focuses upon character interaction which makes the character flaws that much more apparent. As this year’s big Marvel summer crossover event is getting toward the conclusion most of the crossover stories have either ended or are running out of creative ideas, in the rare cases where creative ideas were present. This issue of Wolverine and the X-Men is refreshing as it gives something new to this crossover: emotional moments. This is not the most deep “before the storm” story that has been done in comics, but it shows why this series is so strong. 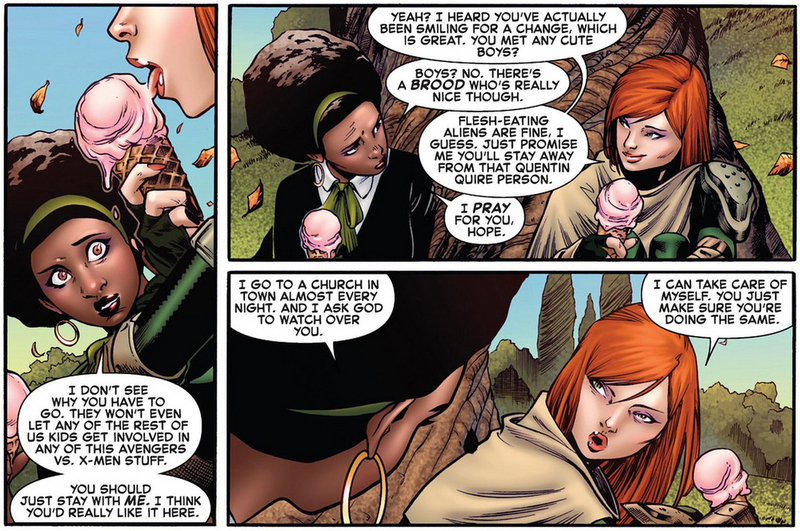 The relationships between the teachers and students are what made this series far more enjoyable than Uncanny X-Men when the schism occurred. 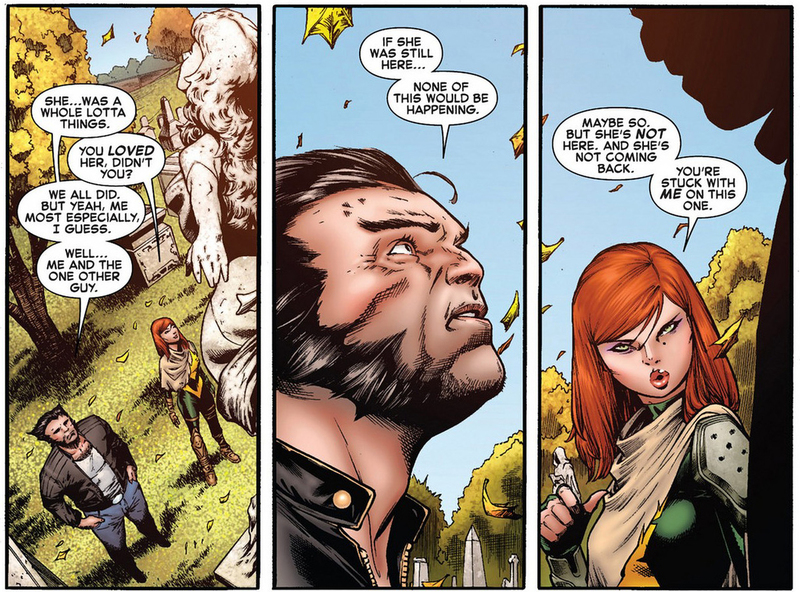 If you have not been reading Wolverine and the X-Men then many of the interactions will not have as much impact on the reader. If you are familiar with the members of theJeanGreySchool, but have not been reading Wolverine and the X-Men give this comic a read it might make you a fan of “Team Wolverine”. 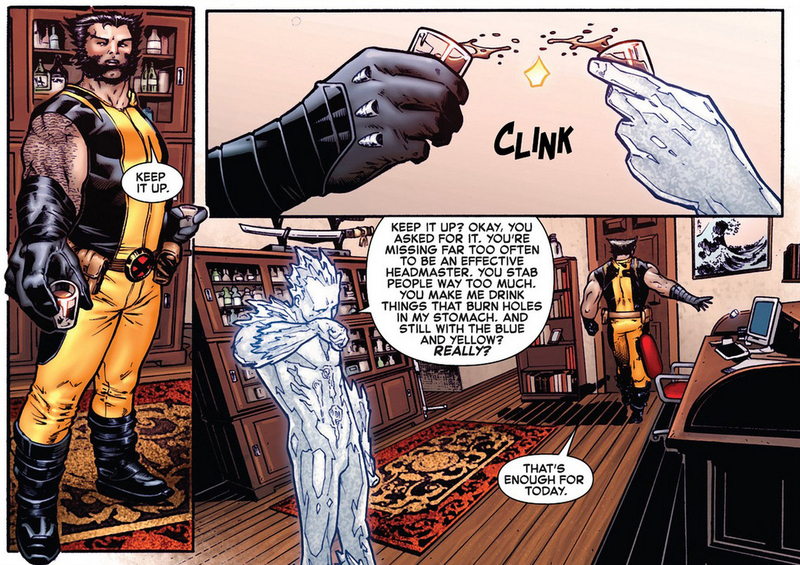 With any luck the remaining tie-in issues will be up to this standard and will make the conclusion to Avengers Vs X-Men more emotional.